Oakland has long been a national leader in the movement to find innovative solutions to assess and clean up contaminated properties. These efforts have helped to produce numerous brownfield success stories and continue to garner State and federal brownfield grants for projects throughout Oakland. Most successful brownfield projects employ a common-sense approach that determines cleanup goals based on the actual risk to human health and environmental resources. This approach is usually referred to as “risk-based corrective action”. The following guidance is intended to further brownfield cleanup and redevelopment in Oakland by assisting site owners to assess their property, undertake any necessary cleanup and obtain regulatory sign-off. Although the abovementioned screening levels can be helpful, a site-specific risk analysis is advisable in many cases. In such an analysis, cleanup goals are calculated using mathematical models employing input values that can be adjusted to reflect known site conditions. Factors such as site geology, local climate, the condition of existing structures, future land use and proximity to protected environmental resources are taken into account. Site-specific cleanup goals more accurately reflect risk from contaminants and, in most cases, will be easier to meet than the agency screening levels. To facilitate accurate risk analyses in Oakland, the City has put together a list of Oakland-specific input values that you may consider using. With respect to metals, naturally-occurring levels in Oakland are sometimes above regulatory thresholds. Regulators are usually amenable to adjusting cleanup goals to reflect this fact. The City has compiled data from various geological studies that are informative for determining naturally-occurring metals concentrations in Oakland. Finally, a key step in establishing cleanup goals is determining by what means humans may be exposed to site contaminants (i.e., through ingestion, inhalation or dermal contact). It is important to remember that Oakland’s groundwater is typically not considered a source of drinking water. The East Bay Municipal Utility District provides water to Oakland from outside rivers and reservoirs. 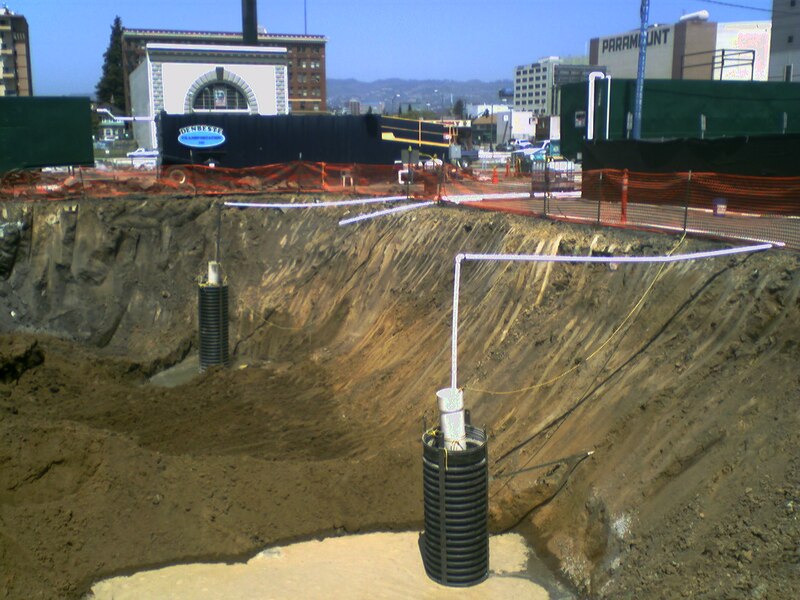 Therefore, ingestion of groundwater is rarely considered in Oakland-specific risk analyses. In some cases, cleanup goals are tied to planned land use or the construction and maintenance of an engineering control that reduces/eliminates exposure to contaminants. Although safe and cost-effective when done right, this common-sense approach requires that sufficient institutional controls are in place to ensure that site conditions will not change in the future without a re-assessment of risk. Toward this end, in 1999, the City implemented a first-in-the-nation institutional control known as permit tracking that ties the issuance of future City permits to on-going compliance with the conditions of the original regulatory closure.